You've undoubtedly noticed these black-and-white boxes on products ranging from the weekly coupon insert in the Sunday newspaper to TV advertisements to the back of books. Say hello to the QR (quick response) code, a two-dimensional or matrix barcode. Each QR code is comprised of data - binary, alphanumeric or Kanji (Japanese writing systems) - that form the black pockets. The square code sits on a white background. Consider the QR code another way to promote you and your product, whether it's a book or a link to an article or your own website. A new study by Forrester Research shows that people are using the unique data code at a higher rate than a year ago. The study shows that five percent of adults use the codes to find additional information. That's a four percent increase from just one year ago. Think about how many smartphone users exist in the world. Their rates of use have increased 15 percent, with Android phone owners using the codes most often. To access information, you simply scan the code with any camera smartphone and suddenly, you're experiencing printed material in a new way, whether through multimedia, text files, or websites. Writers should be taking advantage of QR codes to land new readers. It's an easy self-promotion method. How do you generate the codes? Free programs, like Kaywa, can help. And potential readers can find free applications for their smartphones. Kaywa also offers a free QR reader. While the QR code may seem like the latest craze, in today's 3D and multimedia-based world, the QR code offers one more way to connect with an audience. by LuAnn Schindler. Read more of her work at her website. That is a great idea. Thanks for the info. My husband asked me just the other day--why is that on the ketchup bottle? Really, we are seeing those boxes everywhere, and I learned from your post that it's called QR code. Never heard that before. Thanks for such a timely and informative post! I've been searching for ways to get some extra traffic, so I really appreciate this article. It's interesting, I've seen those codes around, but this is the first time I've thought twice about them. I never really knew, or considered, what they actually were. I scan these codes all the time! Curiosity! 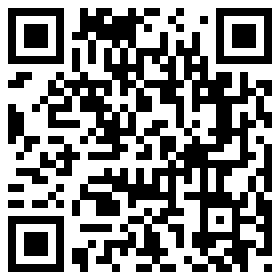 :) If you scan the code at the top of this page, it takes you to the WOW! website. I think authors can use QR codes in so many ways - it's limitless! Are You Connected with WOW?